Hi everyone! Happy Sunday! 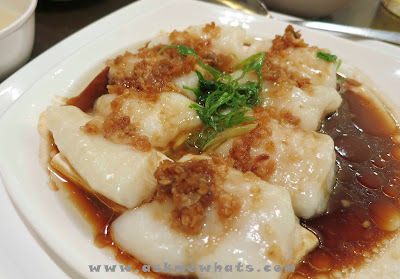 It's another food post for today and I hope you're not hungry by the time you're reading this post! My dearest brother came back for a short vacation last month and I've decided to take a one day vacation leave from work to tour him around BGC together with my parents! It was a fun day bonding with him and bonding will always include eating! Comes dinnertime, I've decided to take him to Wee Nam Kee. Fresh vegetable stir-fried in Garlic tastes so good and refreshing! I've had good experience trying out their BBQ Pork dish on my first visit so I highly recommend this for a second order! 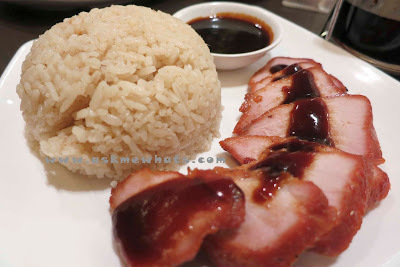 The sliced pork is tender and the BBQ sauce is worth drizzling over my chicken rice! 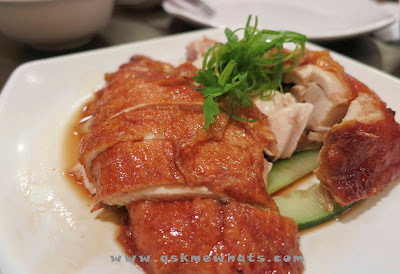 Hainanese Chicken rice maybe the popular choice for most people but for me, I love the roasted version and the sauce tastes so good I also want them on my rice! Another repeat order! This one is Keith's favorite! 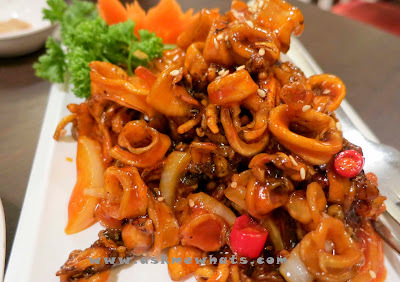 It was really crunchy and the squid were all covered with lovely sauce that's chili to taste! The fish tastes like Dory Fish that I love for any fish fillet dish! The sweet soy sauce with crunchy garlic sprinkled on top made a perfect, healthy and refreshing meal! The restaurant accepts cash and credit card payments. Service charge will be included on the bill! Customer service is great, the restaurant is very clean and organized! I will definitely go back for another visit! Have you dined at Wee Nam Kee? 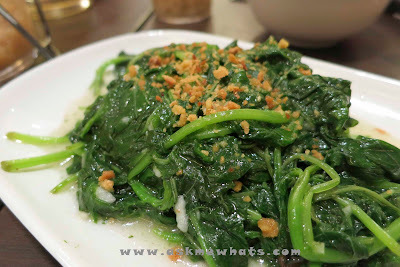 Which is your favorite Wee Nam Kee dish? Mine is the BBQ Pork Rice!